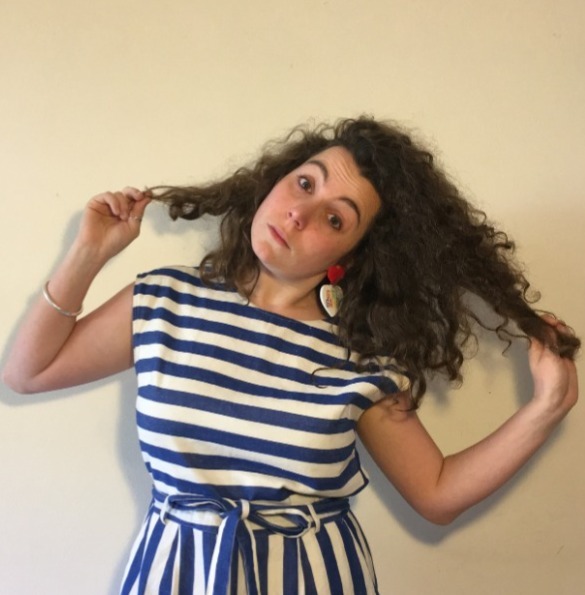 Making her Melbourne debut, Sydney comedian Clare Cavanagh brought her one woman sketch show to the Fringe. She showed off her character work by introducing us to creations such as a School Captain with clear political ambitions, a nonagenarian with a colourful past, “Fireman” and his crew of one note superheroes, and a jargon spouting ideas man. Cavanagh has an impressive background in improv so it was disappointing that the segments intended to showcase them fell a little flat on this night. The interrogation as a ditzy police officer was rambling enough to suit the character but she failed to do much comically with the interactions. Sure the punter was a little flummoxed and didn’t offer up brilliant material but I would have expected more than just repeating the responses back to the perpetrator. Well, improvised theatre is a hit or miss affair and while not hilarious, these scenes were enjoyable exercises nonetheless. One thing I found particularly interesting was how she aimed some of the material toward different demographics. On a snippet of lyrics alone, younger music fans could get a joke a beat before everyone else while older folk would decipher a joke about old technology ahead of the youngsters. It was in the tightly scripted monologues where Cavanagh really shone. Using little in the way of props and costuming the portrayal of her characters had nuance and depth. She added a little physicality to the performance but it was generally in the text where these people came to life. Whether it was an impassioned plea to a crowd, a dotty old lady casually dropping bombshells to her family or the inner thoughts of someone looking for a connection, these caricatures kept us transfixed. The sound design also added a wonderful dimension to the scenes in transporting us to the audience of that event or simply being an eavesdropper. This collection of amusing characters was a wonderful introduction to Cavangh’s work. Here’s to more visits to our town.